Successfully Added Outdoor Weatherproof 1080p HD-SDI Camera - 2MP 1/2.8 Inch Sony CMOS Sensor, IR-Cut, 40 Meter Night Vision Range, 3x Optical Zoom to your Shopping Cart. Outdoor Weatherproof 1080p HD-SDI Camera is the next step for anyone looking to upgrade their existing CCTV set up or just looking for a new quality made security camera as it has a 2MP 1/2.8 Inch Sony CMOS Sensor, IR-Cut, 40 Meter Night Vision Range and Optical Zoom. This is a HD-SDI camera that is also known as a HD security camera, which is capable of capturing video surveillance footage at 1080p resolution. It has a low power consumption and will capture moving images without jagged edges or smear making it ideal to be used in your store, factory or even at home. The camera has intelligent infrared function that helps to automatically adjust the brightness of the image and achieve the desired image. Plus there are external focus and zoom adjustment, which are convenient for debugging and installation. This new SDI platform is essential information for existing CCTV users whom have invested into expensive coaxial cabling installations, and are now ready to upgrade their system to HD. These users are able to leverage their existing coax cable when they upgrade to HD Security cameras. The technology behind this HD-SDI CCTV camera is the same as the video cameras that capture video footage for “high def” motion pictures. With an outdoor weatherproof design you can install this camera almost anywhere and you are guaranteed to get a good quality image each time because it has a 2MP 1/2.8 Inch Sony CMOS Sensor. 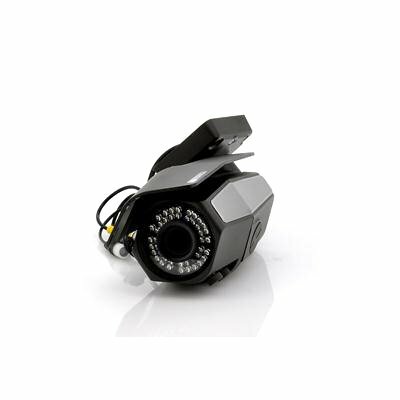 By using IR-Cut technology combined with 42 IR LEDs, this HD-SDI camera has a powerful night vision range of up to 40 meters, meaning it can see all the activity that happens at night. Plus you can get a closer look of the action as it has optical zoom. 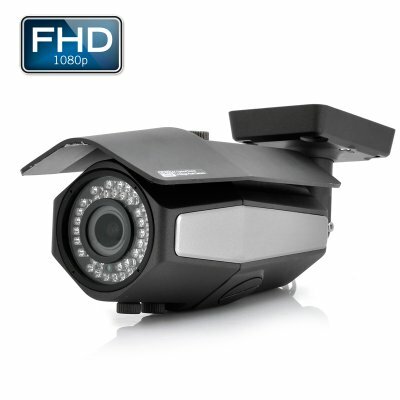 This HD-SDI camera is the perfect upgrade or for anyone new who is looking to increase their security. SDI cameras require a SDI DVR, SDI-HDMI converter or SDI PC board.